Nikon D5600 is another great DSLR which is equipped with a APS-C CMOS sensor and is powered by the Expeed 4 image processor. The total number of focus points is 39 and the focal length multiplier is 1.5x. The ISO settings are 100 – 25600 and the burst shooters can use the continuous drive of up to 5 frames per second. It can record videos at Full-HD 1080p resolution at 60p, 50p, 30p, 25p and 24p with stereo recording for better sound. Measuring at 4.88 x 3.82 x 2.76 inches and weighing just 465 grams, the D5600 is not a bulky DSLR but instead, it feels comfortable in hands. The viewfinder with a 0.82x of magnification and 95% scene coverage is pretty impressive. The LCD on the other hand is bigger as compared to other DSLRs in this list. It measures at 3.2 inches with 1,037,000 dots. It is fully articulated and is also touch-enabled. NFC, Bluetooth and Wi-Fi are built-in for easy connectivity. The lithium-ion battery pack of EN-EL14a is incredible as it provides a total of 970 shots after a single charge. A lot of different lenses designed for different purposes can be attached with the D5600 so that the users could expand their photography experiences with numerous lenses. That is why we have compiled a list of the best lenses of every kind which the users could attach to this wonderful device. Have a look. This is a superb lens for the D5600 as it is an all-in-one lens capable of shooting in different varieties. It is an ideal lens for those shooters who don’t want to carry different lenses with them. It is an extremely compact and lightweight lens for a lens which offers a whopping 16.7x of zoom. It delivers outstanding results when attached with DX-Format DSLRs and can work in different conditions including wildlife, portraits, landscapes and much more. It has Vibration Reduction (VR) technology in-built for steady photos and videos alongside quiet and autofocus. Another versatile lens for our beloved D5600 with a combination of the big zoom range. Varying between 18mm (ideal for landscape) and 200mm (ideal for sports and wildlife), this lens is one of its kind as it is pretty compact and is fully compatible with the DX-Format DSLRs. The only drawback of this lens is that it does not have reach certain types of telephoto photography but overall, it is a great all-in-one lens for walk around and travel shooters. 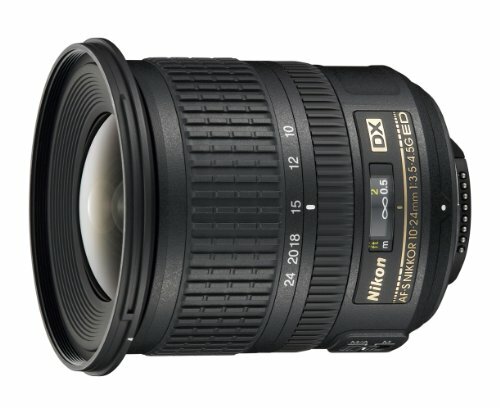 This lens is considered as Nikon’s best wide-angle zoom lens for the DX-Format DSLRs. It produces sharp, vivid and tremendous results for both images and videos. Capturing landscapes and architectures feels so good with this lens. 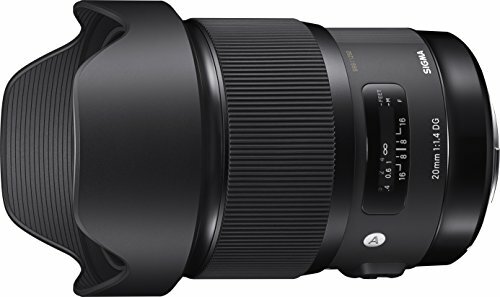 The zoom range of this lens is equivalent to 15-36mm on a 35mm camera and covers virtually all of the useful focal lengths from ultra-wide to a normal field of view. A close focus of up to 0.8 feet and Internal Focus (IF) paired with Nikon SWM (Silent Wave Motor) makes this lens the greatest in its respective domain. This lens by Tokina is considered as one of the fastest lens ever. 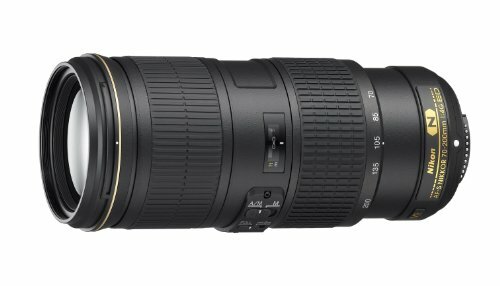 It is very sharp and boasts a rapid fast f/2.0 aperture which is capable of an equivalent 21-30mm zoom range. This wide aperture makes low-light photography very easier while maintaining size and weight. 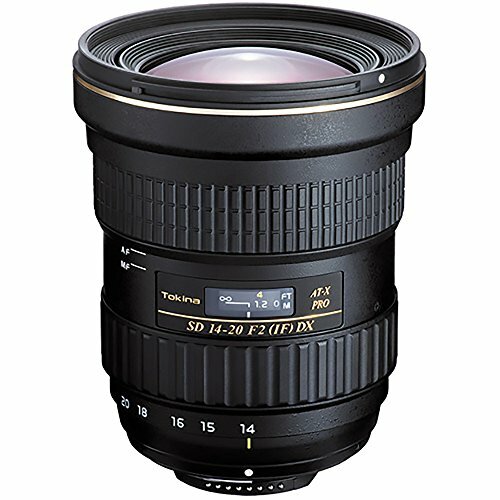 This lens by Tokina has an ultra wide-angle zoom and a bright constant aperture of f/2.8 which allows you to view and autofocus in the dark or low-light situations while maintaining size and weight. The angle of view ranges between 104-84° and it can focus as close as 11.8″. There is a silent focusing motor allows the lens to use autofocus on Nikon bodies that do not have an AF drive gear and motor. 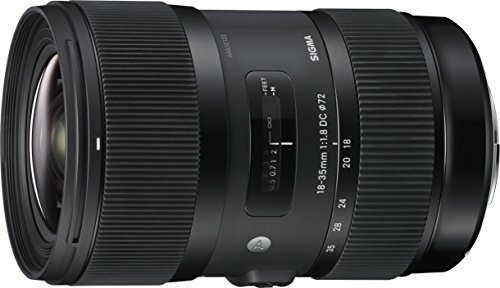 An outstanding and excellent lens by Sigma. It has a focal length of 20mm and f/1.4 aperture. It provides brilliant large-aperture brightness and decent booked effect. The wide-angle image quality makes this lens great for seascape, cityscape, and astrophotography, alongside photos in low light and indoor photography. 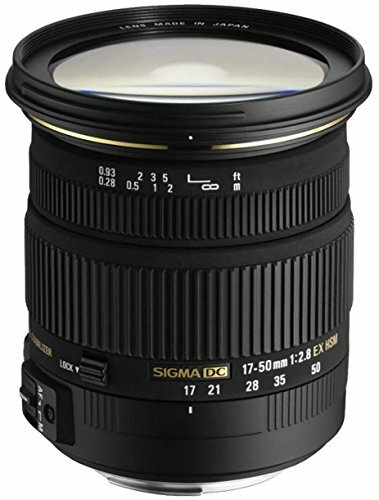 This Sigma lens is a must-have lens for your professional or enthusiast kit. It is the most preferred lens of the professional thanks to fast and silent autofocusing and durable structure. 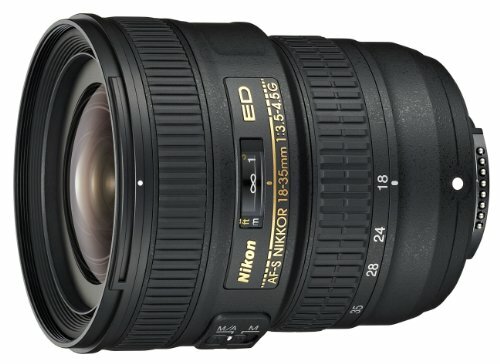 The most prominent feature is the economical price making this lens an excellent alternative to the competing rivals. 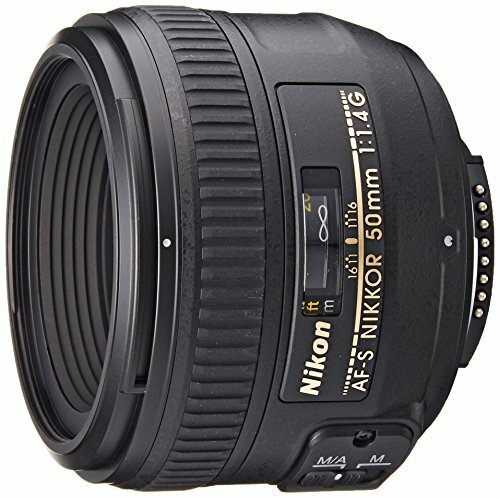 Amazingly lightweight design and a compact body, this Nikon lens offers great reproduction capability and picture quality. It has an excellent price and those professionals who are on a budget would love the economical price of this lens. It has an f/1.8 maximum aperture which works pretty well in low-light conditions. There is also one aspherical element to help control distortion and aberrations. It is ideal for travel, street and general photography. 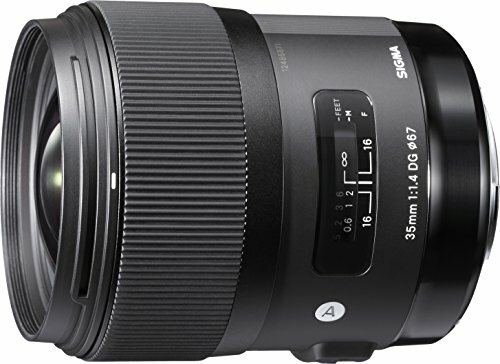 If you are looking to get a standard zoom lens for the Nikon D5600, this Sigma lens should be your top priority as it is the latest benchmark in its respective category. This lens is the first one ever in the history to attain a large aperture of f/1.8 which is paired with the Hyper Sonic Motor (HSM) ensuring smooth, fast and accurate autofocusing. It performs astonishingly well in still life, casual and close-up shots. 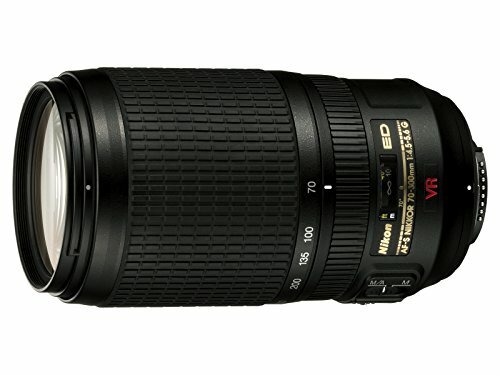 This Nikon lens also features as an all-purpose lens. Thanks to the compact body and lightweight structure, this portable lens is recommended for travel and all-around use. It has a n 18mm wide-angle perspective offering you more of what you are seeing in the frame. It performs brilliantly while shooting indoors or in close quarters. At the maximum zoom levels, you can attain a natural 35mm perspective that mimics the field of view of our eyes, ideal for just about any photo or video application. 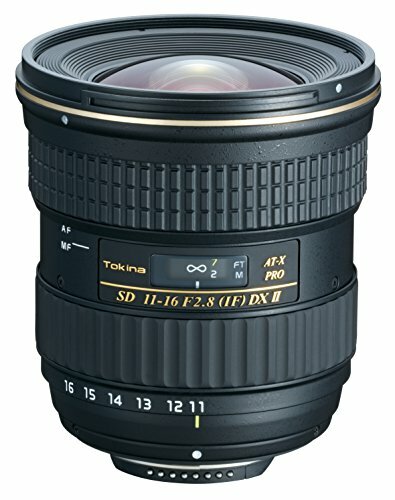 This Sigma lens is a large-aperture standard zoom lens covering a 17-50mm focal length (equivalent 26-75mm). The aperture of f/2.8 is pretty widespread throughout the zoom range which makes it an ideal lens for press, weddings and general photography. The Sigma’s anti-shake feature allows you to make use of shutter speeds approximately 4 stops slower than would otherwise be possible. The Hyper Sonic Motor or the HSM allows fast but quiet autofocus. There is Super Multi-Layer coating which reduces the flare and ghosting. It performs brilliantly in low-light and is pretty durable and lightweight which means you can easily carry it around. 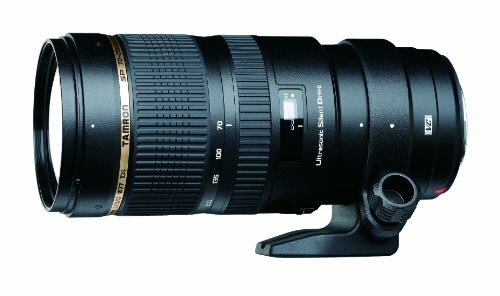 Arguably the best telephoto zoom lens for the FX-Format DSLRs. This lens is very high in speed and is equipped with a f/2.8 maximum aperture throughout the zoom range. It is extremely compact full-size and high-speed telephoto zoom lens paired with VC Vibration Compensation), USD (Ultrasonic Silent Drive) and image stabilization. These three technologies combined with the durable lens and superior performance of the FX-Format DSLRs produce a solid result with better color enhancements and detailed focus. 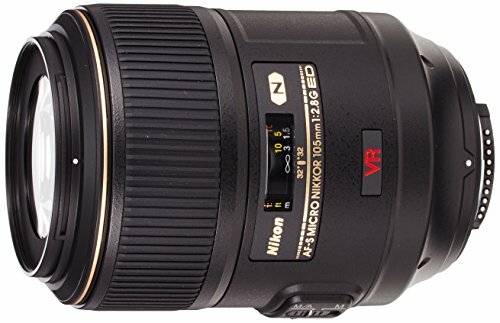 This lens made by Nikon is very lightweight and versatile allowing you to opt for different kinds of photography including wildlife- sports and travel. The zoom range it offers is 4.3x and the range of focal length is 70-300mm plus, a 35mm equivalency of 105-450mm when used on DX-format DSLRs. An equivalence of 2.5 shutter speed stops is also available to assist in shooting sharper and vivid images in low-light or at maximum zoom lengths. 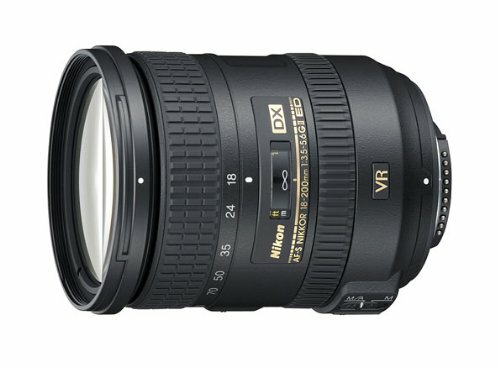 Another highly compact and lightweight lens from Nikon through which you can have an extremely wide focal length thanks to the f/4 and excellent image result. The f/4 fixed maximum aperture performs astonishingly well in low-light and allows you to have a consistent exposure balance while zooming in, a feature which is extremely useful while recording HD videos. This telephoto lens boasts image stabilization, quiet yet fast autofocusing and has some of the most advanced coatings on the lens allowing you to take some vivid, sharp and improved images. 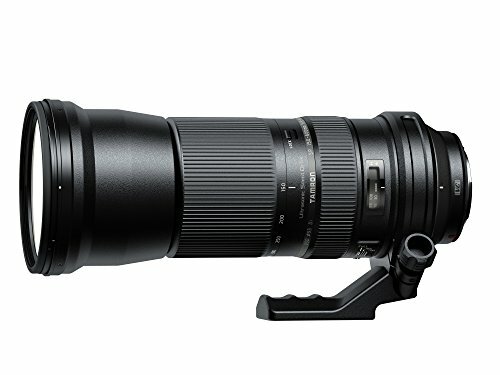 Thanks to the 150-600mm long-range zoom, this lens is suitable for those who want to cover wildlife and sports alongside some landscapes and architectures. There is a built-in tripod mount for use on tripods and monopods. On an APC-C sensor camera, the focal length becomes equivalent to 233-930mm. 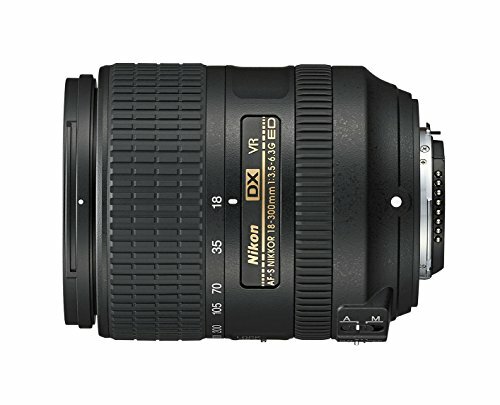 This Nikon lens is ideal for capturing general close-up shots of flowers, detailed items, portraits and much more. This 40mm f/2.8G allows the photographers to get the true 1:1 magnification for extremely close-up imaging. It is compact and pretty lightweight due to which you can carry it with you easily. 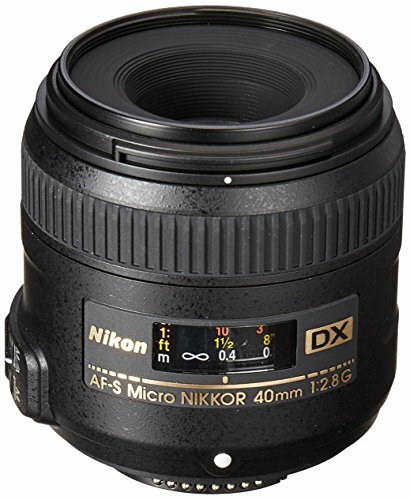 This standard focal length DX-format Micro-NIKKOR lens provides high resolution and contrast from infinity to life-size (1X). This medium telephoto lens is pretty good for extreme close-up shots and portraits with greater working distances and AF from infinity to life-size (1:1). Any camera movement at this magnification is also amplified so image stabilization is pretty crucial. This lens is the first ever macro lens in the world to feature VR (Vibration Reduction) and SWM (Silent Wave Motor). Due to VR, the shooters can make use of a three shutter speed stop equivalence enabling the use of slower shutter speeds while still maintaining image sharpness, even in low light. The equivalent focal length is 157.5mm if you use this lens on cameras with an APS-C size sensor. 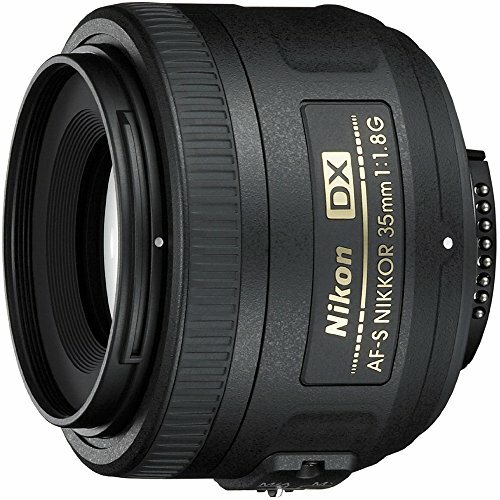 This lens is a perfect portrait lens if used with a Nikon DX-Format DSLR. It is ideal for travel, street and general photography. It performs astonishingly well in different conditions and is paired with a neat optical formula and a fast f/1.4 maximum aperture. It is an ideal match for both DX-Format and FX-Format DSLRs thanks to the vivid and neat booked effect. 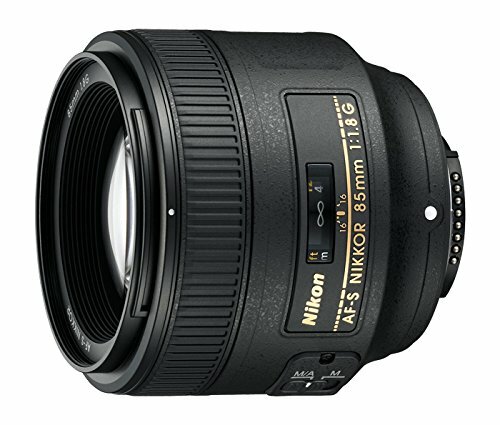 It boasts the IF (Internal Focus) technology of Nikon allowing you to have a fast and quiet autofocus. It can produce crisp images at all apertures and the fast maximum aperture is perfect for capturing stills or D-Movie HD videos under ideal lighting, in low light, head and shoulder portraiture, weddings or concerts.